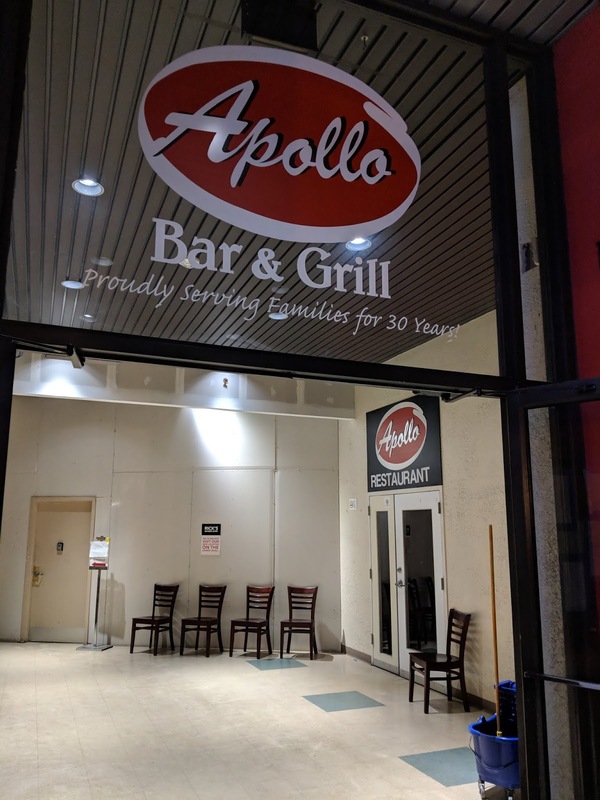 The Apollo Restaurant will close at the end of this month, according to the owner, who made the bombshell announcement at a meeting about the future of Rockville Town Square. He cited high rent at Courthouse Center as the reason for the closure. Courthouse Center, like RTS, is owned by Federal Realty. What the Apollo lacked in Michelin stars and fancy decor, it more than made up for in 4 Yelp stars, and hearty Greek/American food for three decades. A regular stop for City officials, the restaurant has a large and loyal following in the community. The Apollo is just the kind of restaurant that is increasingly facing extinction in Montgomery County - longtime, mom-and-pop operations squeezed by high rents and the high cost of doing business under an anti-business County Council. 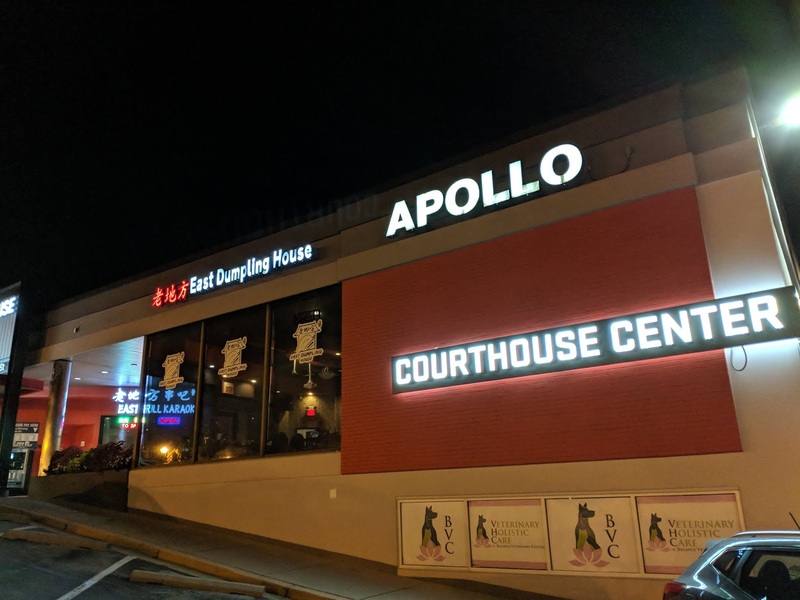 "The Apollo is just the kind of restaurant that is increasingly facing extinction in Montgomery County - longtime, mom-and-pop operations squeezed by high rents and the high cost of doing business under an anti-business County Council." Per your own article, immediately before this one, the tenants blame Federal Realty for their situation. 9:04: Thus I mentioned "high rents." The outrageous costs put on restaurants by our County Council most definitely hurt their profits, making those high rents less affordable. This is a fact. I never saw it. I think the location was the problem here. Perhaps you should open your eyes wider. This restaurant has been there for 30 plus years, on the main drag, and you didn't see it. Oh, and location was not their problem, otherwise they wouldn't have survived for over three decades. Idiot! Maybe 30 years ago, when there were not many restaurants, it was easy to locate. Now it goes completely unnoticed. Can you see that today is closed "genius"? The thing that I can see even with my eyes closed it is your lack of education and taste. The entrance looks like the waiting room of a dentist. No wonder why they close this place. The space next to the entrance is currently under construction. That is why it looks that way. It's a huge loss for Rockville to lose Apollo. People new to Rockville want to turn their nose up, but Apollo is a long time favorite of many many old Rockville families. It's a very sad time for people that have frequented the restaurant since their childhood and now bring their children in to dine. It would be nice if the landlord could offer a smaller more affordable space so Apolli could continue, but in this age of newer, better, more expensive trendy restaurants that won't happen. You wrote an admirable article this time, until the end and your inaccurate political dig at MoCo. This is entirely within the city of Rockville (i.e. Town Center) and all permits for doing business with the exception of liquor are controlled by the City. Stop grandstanding. 10:49 AM Maybe, but one of the business owners last night did say she simply couldn't afford to do business in Montgomery County. There could be some County (and State) headwinds at play here as well. I would like to see a report about how the Town Square is doing as a whole- are some businesses thriving? We only heard from a handful of businesses last night that are hurting. Is GB doing well? What about Buffalo Wild Wings, Starbucks, Verizon, etc.? 10:49: It is Rockville, but I directly quoted a business owner who referred to Montgomery County, not the City government as a culprit in her case. That's accurate journalism, not "grandstanding." Wonder whether there's way the two disjointed halves of East Grill will take over the space and make itself into something more coherent. It always seems crowded on weekends, with that anteroom area full of people waiting for a table or private room and servers shuttling food back and forth between the two disconnected hemispheres of the restaurant. Still sorry to see a long-established local business go, but doubling-down on the "DC's Chinatown" aspect of downtown Rockville would be a silver lining; it certainly makes it a destination for people from other parts of the DMV. My wife's friends come there for Chinese food and karaoke fairly often, some all the way from Virginia. 1:51: I agree - bringing in an Asian supermarket to the Dawson's space, especially one that might have some in-store dining features, would be a good fit. Of course, they also have to add more store-reserved surface parking spaces. Since when does the county council set rent rates? The author of this article should preface it as an op-ed, since he has no problem interjecting his opinion instead of reporting unbiased news. 10:39: LOL - The Council sets the property tax, energy tax, minimum wage, certain employee benefits, and much more. They also have preserved the County government liquor monopoly. All of these costs are borne by restaurants, and many of them cause rents to go up. Do you think Federal Realty just writes off the higher taxes on their properties? No, they raise rents.